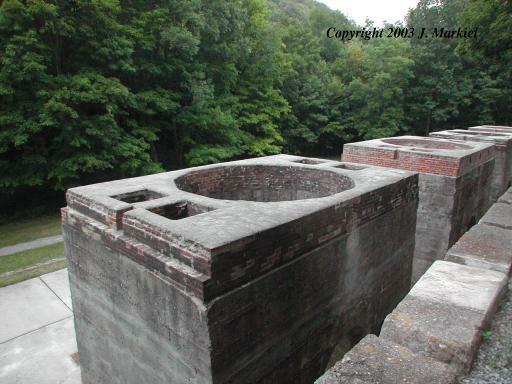 The Limestone Kilns are located within the Canoe Creek State Park. 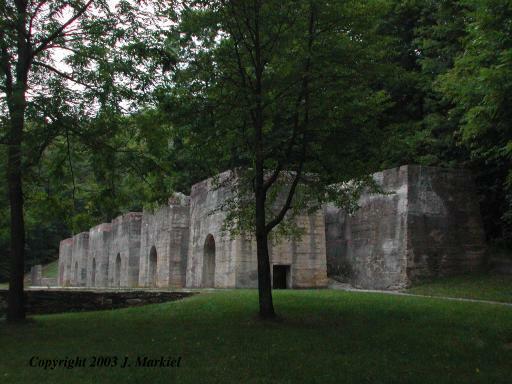 The structures were originally built by the Blair Limestone Company. If anyone has details regarding the history of the company, please forward them to this website. 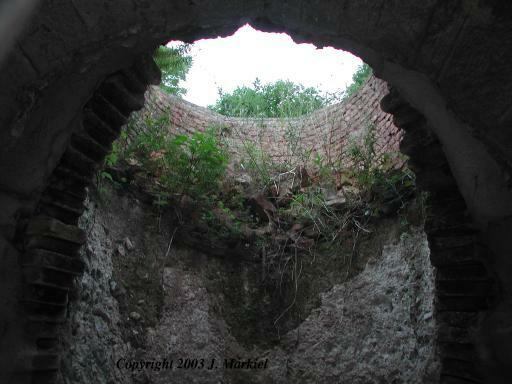 The production of lime was critical for the iron furnaces. Limestone was utilized as a flux, removing impurities from the raw ore. 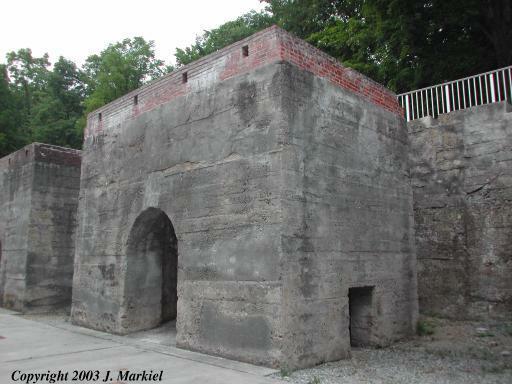 The lime was created by dumping quarried limestone ore on top of burning charcoal, or in later years, burning coal. 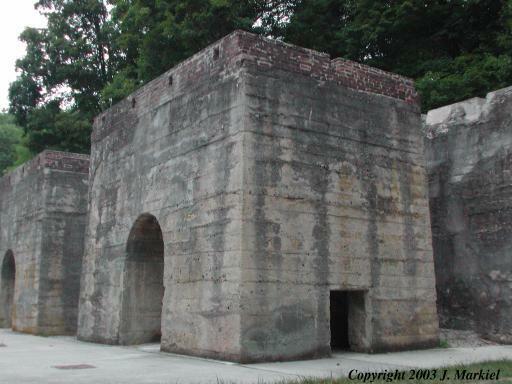 Additional layers of coal and limestone would be added to the kiln, making the operation a continuous activity. The limestone was transported by side rail from the nearby quarries to the kilns, and then by main rail to the outside buyers. Located in the Canoe Creek State Park, on Rt 22 just east of Altoona. 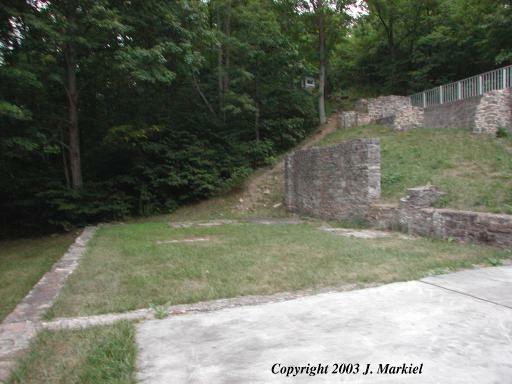 The Pennsylvania State Parks operates a website at Canoe Creek.